Surfing lessons Newquay. 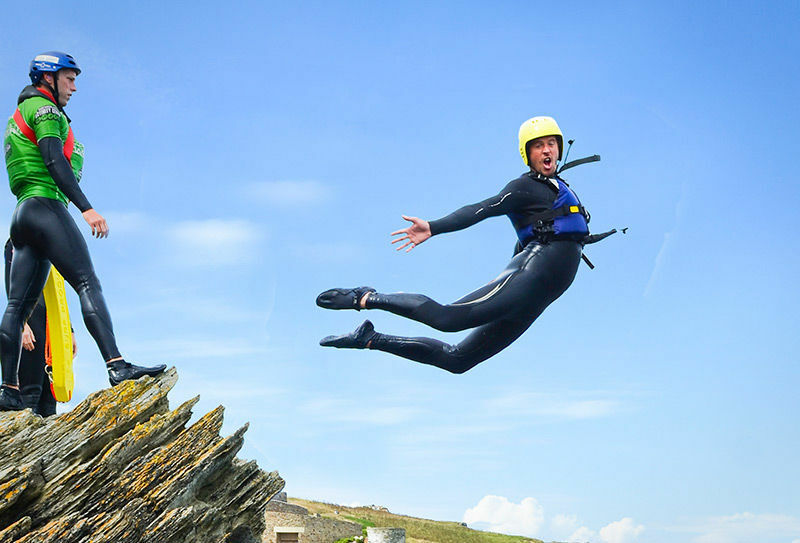 Value and quality Multi Surfing Lesson Package. 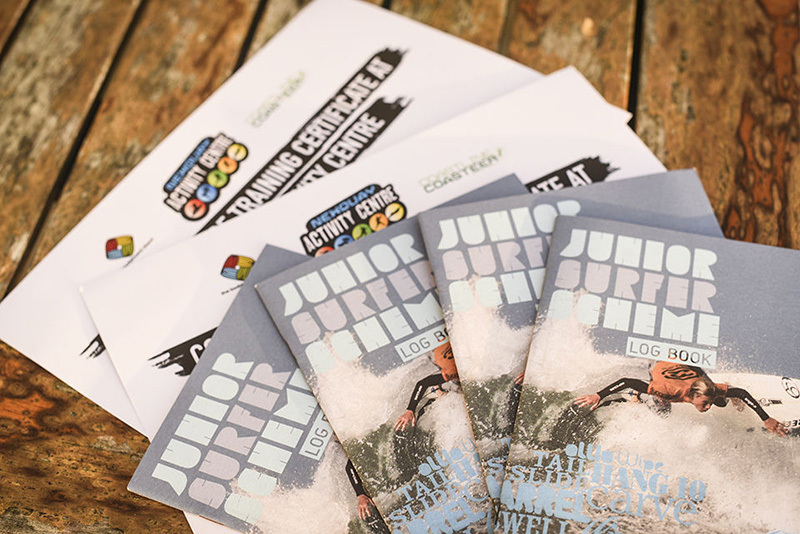 Multi Surf Lesson Packages | First lesson £42. Choose our Multi Surf Lesson Package if you’re keen to undergo a series of awesome surf sessions whilst under continuous supervision, and for an unbeatable price. Delivered by the English Surf School in Cornwall, this specially crafted package offers great value for money as you hit the waves on a daily basis while receiving guidance from our qualified surf instructors. You’ll begin with one of our two-hour Explorer Surf Lessons that give you a head start in your surfing skills by learning surfing technique fundamentals and basic manoeuvres. Surfing with just four others you’ll receive close quarter instruction from our enthusiastic and International Surfing Association qualified instructors, and be surprised how quickly you develop. As part of your first lesson we’ll issue you a surf progression log and photography for both coaching purposes, and for you to plaster all over social media to dazzle your friends and family alike. 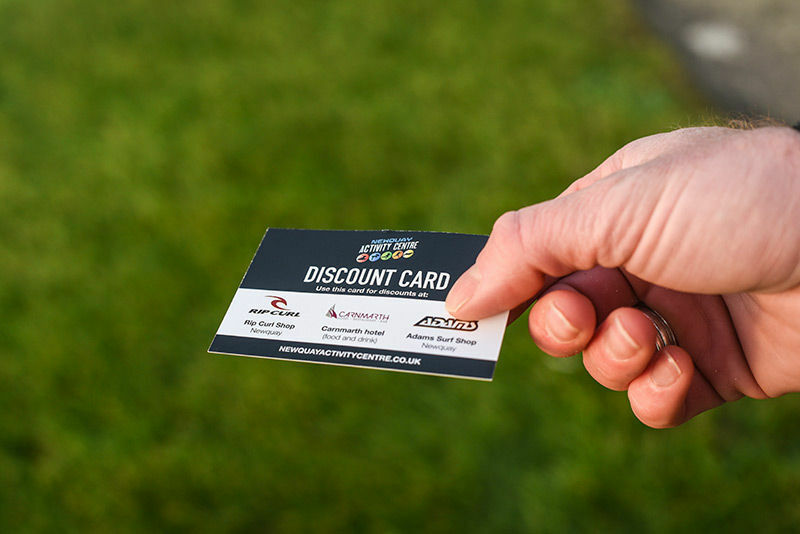 At a discounted rate of £30 per lesson you’ll continue improving your skills and performance by joining a lesson of just seven others or less, for further personal supervision and coaching. You’ll join beginner surfers of mixed abilities for a safety talk and warm up before heading into the surf, receiving game changing tips from our instructors as and when you need them. 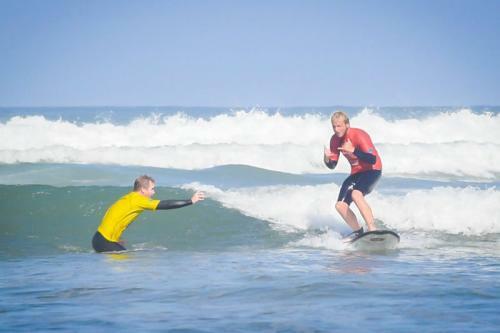 To see real improvements across the week we suggest you book one or two surfing lessons per day. 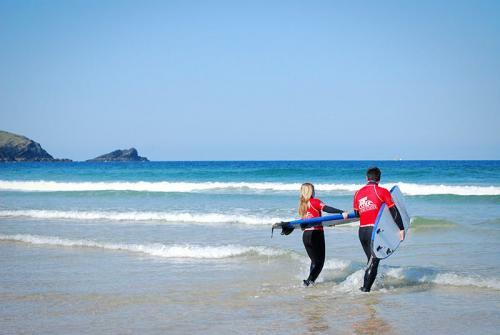 For all of your surfing lessons Newquay you’ll have access to our facilities including warm changing rooms, a hot shower and lockers to secure away any valuables. 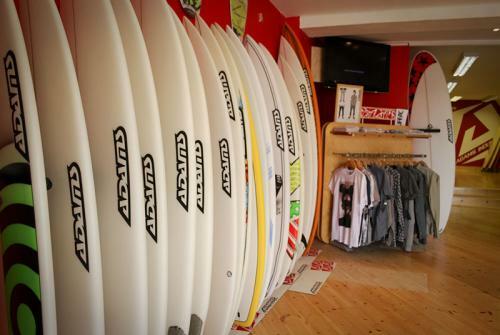 In addition to your surf progression log, you’ll have access to our excellent quiver of surfboards and be kitted out in a top of the range wetsuit. 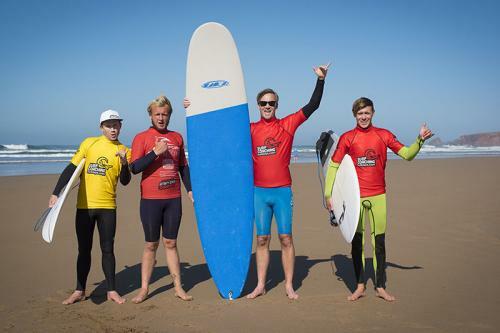 British Team Coach Rob Barber, and former British Surfing champion Johnny Fryer have designed the Multi Lesson Surf package with value for money and maximum progression in mind – we’d expect surfers to progress 1 if not 2 levels along the iamband measure of surfing ability scale. When you learn to surf with us you’re guaranteed an unrivalled level of tuition, seen anywhere in the industry. Call to check availability and book your Multi Surf Lesson package today.